In the present day scenario each one is very busy and has no time to think about next second. Where are we going? Each individual has to plan his/her life well way ahead of the time. Planning is required at every stage and for everything, whether it is in day today living or in the office or with regard to children or parents or a trip or travel. Planning makes things trouble free, comfortable and gives time and space to enjoy what one is doing or planning to do. When you do things in a hurry and in a haphazard way, the real pleasure and enjoyment will be lost because you are doing things for the sake of doing and since you are doing in a haste and hurry you are at tension always. Therefore the real purpose, that is, the enjoyment or relaxation is lost!!! When we say or think or talk of planning, generally we imagine only money. But it is not true. Money is just one aspect of it. Planning involves many things. Time planning is a very important aspect which many neglect. 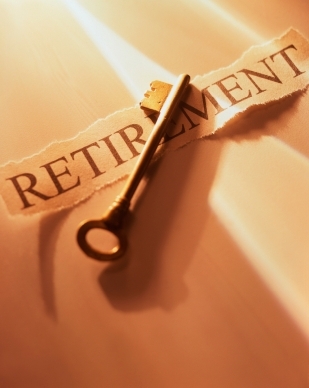 When one plans to retire, this time planning plays a very important role. People will have much more time at their disposal than what they used to have while in service. If one does not plan it well one will get bored thinking what to do and start doing things which are not comfortable to others or may be a nuisance to others. The old saying “an idle mind is a devil’s workshop” may come true. Therefore it is always better you plan your retirement way ahead so that you may start enjoying life after retirement too, which is very much possible and necessary too. In India, generally we retire after we complete all our duties and responsibilities or in other words we try to fulfill all our duties and responsibilities (as much as possible) before we retire. Therefore the time belongs to us and for us alone. We should know and plan how we are going to spend it. Most of us say “what is there, we will go and live with our children”. Is it necessary that we should go and live with our children? I do not think so. If we plan our finances well from the beginning itself, we can lead a life of our own on our own. Even if we decide to live with our children planning the time and resources is very important. It is always good to develop good ears rather than a good tongue. What I mean is one should develop patience to hear to what others have to say rather than talk and give our opinions and expect others to follow. The days are changing. What was suitable and considered the best during one’s childhood may not be so after 20 years. Habits, life style, values, social norms, views, perception of things are all changing due to various reasons. Therefore it is always better that one tries to develop the habit to adjust and accept the change quietly. One should always try to update the knowledge and afresh with the latest developments in order to converse with the present youth and make them accept into their group, which is very necessary in the retired life. Else one will feel left out, depressed and lonely. One should develop the habit of involving in the activities, interests, day today routine of the children without interfering with their life, so that they feel our presence as a pleasure rather than as an inconvenience and nuisance. Try to be helpful within limits, never give advices before requested for, and do not expect to be followed or do not mind if not followed. One should remember that the water flows from top to bottom and not reverse. That is, we show our love and affection to our children and they in turn will show to their children. Never expect that towards you and get disappointed and depressed. If you get it, then it is a bonus and welcome it with pleasure. One should always remember that we have lived our lives as per our wish, plan and likes and dislikes and now it is the turn of them to do that as per their wish, plan and likes and dislikes. Never make the mistake of thinking that you are right and others are to follow since they do not know. Never interfere with the freedom of others even if they are your children. Accept that the children have grown up and can plan their things well, may be better than us and that they are matured individuals with some place in the society. Learn to feel proud that our children have grown into respectable individual in the society. Learn to take the back seat and try to sit quietly and watch things as they are happening. This does not mean not to involve in the family matters or neglect everyone and be aloof. One should be concerned and at the same time non-interfering. It is a habit which has to be cultivated with practice and patience. It is better if one develops some hobby from the younger days itself. The best hobby is reading. In the present day scenario all are aware of exercise for better health. One can plan a good exercise routine so that some time is spent and good health is maintained. We can make a small group and start playing shuttle or swimming which are good exercise activities and the time spent in the court or in the pool are very refreshing and relaxing too. In the beginning it may not be so exciting but in due course the group becomes so close you start enjoying the company and find it very refreshing since you feel you have someone to express the feelings. In the long run you start enjoying it that you hardly feel like missing it. It is very important to have someone close so that you do not feel left out or alone. At any stage in our lives we need true friends to be with at least some time in a day. These types of activities fill that gap. While selecting the hobbies one should be very careful. One should remember that at the end of each day we have grown older by one day. The body becomes weak and fragile without our knowledge. I remember one of my friends who came from Mumbai and settled as my neighbor. Since they have spent in small apartments in Mumbai, they had a fascination about bungalows and wanted to live in a spacious villa. Therefore they built a huge bungalow with a space for garden around and started living in it. Both of them started gardening and they were so involved that they were spending almost all their time in the garden either digging or cutting or trimming the plants or watering or plucking flowers or doing some other work in the garden. This resulted in that man developing shoulder pain which became so severe that he had to undergo surgery and the doctor advised him to stop doing all this type of work which ended him in depression and disgust that now he gets irritated and angry for everything and there is no peace in the house and he is no more the old jovial type of person. His whole personality has changed. I have another friend who too were like these and were living in a villa and were very obsessive about their life style. Now they have grown old. There are three of them living, out of which one is 90+, one is 80+ and the other one is 70+ in age!! Most of the villas have only one bedroom in the ground floor and 2 or 3 rooms in the first floor. As a result, the lady who is 90+ age sleeps in the ground floor and the rest are sleeping in the first floor. The lady of the house is not able to sleep peacefully in her room since the old lady is down stairs. She is neither there nor in the ground floor. She confesses that she spends most of her time on the stair case. So, one should have some forethought before selecting a house to live after retirement. We should give priority for convenience rather than pride and prestige. We can develop the habit of going for long walks, try to do some social work which is suitable for our age, health etc. For example, we can go to a temple and try to help in the management of the temple or take part in the various activities there. Or we can go to a hospital or a health centre and try do help in their day today activities. Or we can go to a nearby school and try to help the authorities in running it. All these we should do staying within our permissible limits without interfering with the authorities. We may even join a NGO and help them. We should make ourselves acceptable by our behavior. There are many ways one can keep oneself engaged after retirement. Only thing is that we should look around for opportunities. Change the life style a little to suit the convenience of others. Stop talking about yourself, about your achievements, how you suffered or what type of life style you lived etc. No one is interested or they are bored of listening to such stories time and again from you and others in the past!! Show interest in others’ activities, their work, life style, struggle, interests etc. which will make them comfortable and happy. Let us try to live a life more useful, more meaningful and more enjoyable to us as well as for others. Grumbling and comparing will end us up in unhappiness and frustration which will neither help us nor others. Let us understand the reality and try to be happy and lead a life full of happiness and joy and meaningful at the fag end of our lives.